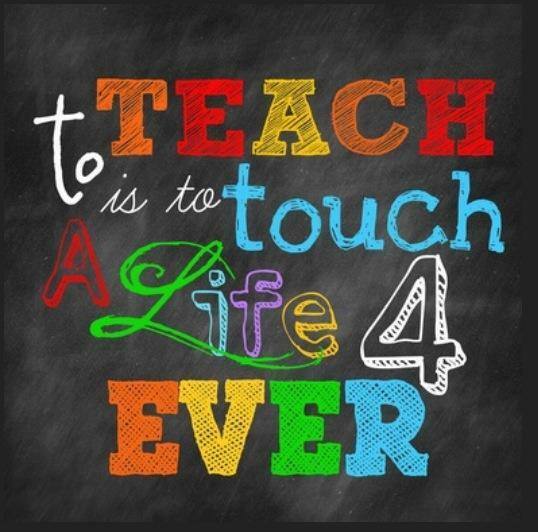 Teachers Appreciation Week gives us all a chance to look back at the extraordinary teachers who have impacted us throughout our childhood and throughout both our lives and those of our children. For those of us in the field of education, we also have the chance to remember teachers with whom we have worked. I have been fortunate enough to have worked closely with over 400 teachers in 40 years of education as a Massachusetts teacher and principal. Through my work, I feel that I have learned a great deal about teachers and the incredible responsibilities that are part of the profession. Of course, to paraphrase Antoine de Saint-Exupéry’s in The Little Prince,there are things we see and know with our eyes, and others–sometimes even more important–that we see and know with our hearts. I have observed and admired teachers all my life, and I write this letter to each and every one of you–to every teacher I have had the pleasure of knowing. I invite you all, and all your colleagues, your students far and wide, and the greater community of parents and townspeople to read along or listen in. I have seen you as each new year begins in late August, frantically running from WalMart to Kmart to Target to Staples to the Dollar Store—spending hundreds of dollars of your own money to purchase motivational posters, extra crayons and glue, marbled composition books, stickers that say “Awesome Work” or “I’m Proud of You.” I have seen you spend the full week before school begins putting up backings for bulletin boards, re-stocking your classroom libraries, and putting together folders for Day One. I have watched you as you try to map out once more your whole year, and vowing that this year you will be the best teacher that your children have ever had—the best teacher that you can be. I was with you—in spirit—all those nights in August when you couldn’t sleep because you were so excited—and more-than-a-bit nervous, as well—because of all those new kids that you were about to greet in just a couple of weeks. Even after you finished that Master’s or CAGS degree—piling on still more college bills–even after spending 5 or 6 weeks in summer taking courses to continually learn new skills for teaching students—still you worried how you could be possibly be prepared for the multitude of students about to enter your classes—students with such a wide range of skills and talents and with an equally large range of backgrounds and personalities—as well as family, personal, and academic problems. Still you approached that first day with eyes filled with hope and hearts filled with compassion—with dreams of helping each and every student to learn, to achieve, to grow—to reach for the stars and to ultimately achieve his or her dream. I have seen you work so very hard—day in and day out–as teachers. I watch you literally run around the room in pursuit of that ever-elusive goal—helping every single student to understand and master a skill on which you are focusing that day or that week. You kneel down beside little kindergarten desks to check the formation of their letters; you bend over middle school desks to check a student’s map of the United States; you run back and forth to the whiteboard to demonstrate the correct way to calculate the volume of water in a container. You run from the SmartBoard to the children’s workstations, from their computers to their reading circles. You are up and down and up and down and up and down, and you are constantly in a whirlwind of motion–and by the end of the day, you just KNOW that you have run a 10 kilometer/6.2 mile road race (if not a warrior run or a half-marathon) because your legs and your back and your shoulders are absolutely killing you. And that doesn’t even begin to touch on how emotionally drained you are. You have made about one thousand judgments and decisions every hour. “Does Linda or Jason really understand this concept?” “Should I give another example?” “Should I ignore that child who is whispering?” “Should I correct him or her?” “Should I try some proximity control?” “Should I praise that student for her answer?” “What should I say—‘good job’ or ‘nice work’ or ‘great answer’?” “Should I explain WHY it’s a great answer?” “Should I give the kids a break now—or wait 5 minutes?” “Should I make that little joke now to liven up the class a bit, or will that break everyone’s train of thought?” “Should I call on Jennifer now—or Taylor—or Alex–or Javier—or Aliyah—or Noah—or Desiree—or Tyrone?” “Should I allow Susan to get a drink now—or Joshua to run to the bathroom now—or Mark to go to his locker to retrieve his homework—or Kadence to call her mom to bring in the money for the field trip?” “Should I correct Sophia’s poor grammar in her excellent answer to my question about the story we just read, or should I just compliment her for thinking creatively and expressing herself so clearly?” You are constantly scanning the rows or the groups of tables for students who look confused or uncertain or excited or bored—and you are constantly reacting to each of those students. I have been there with you and felt your heart skip a beat when that light comes on in a child’s eyes and he says, ”Mrs. Johnson, I get it! NOW I get it!” I have felt your heart swell to twice its size when you read a sophomore’s essay in which he writes, “One day I will hold my Mom’s hand and tell her that she has always been my hero because she has sacrificed so much to keep our family together.” And I have been there, as well, when a child’s suffering becomes your suffering. I have seen your pain as a child confides in you that he just doesn’t have any friends—or that the kids on the bus call him names. I have seen the tears stain your cheeks when a child explains to you that her dad is not coming home anymore. I have felt your chest and throat tighten up when you see a child come in with bruises, both seen and unseen. I know how you grieve when a child loses a friend or family member to an accident or to drug or alcohol abuse. And all those times when a child struggles to understand but the understanding will not readily come, no matter how hard he or she tries—those times, too, cause your heart to ache, and make you even more determined to find a way to reach that child. And I know how many times those children and their problems keep you up late at night—wondering if and how you can help, and praying that you can find a way. And I know about the long, long hours that you put in before and after school. I know how often you get up at 5:00 in the morning to put the finishing touches on your lesson plans for that day or that week. I know how regularly you spend 2 to 3 to 4 to 5 hours a night or sometimes even more on schoolwork. You get home from school, help the kids with their homework, prepare dinner, clean up, and then spend until 10 or 11 o’clock correcting papers and getting ready for the next day. Over the course of a week you correct hundreds of spelling, grammar, math, geography, history, science quizzes. In a year, those hundreds become 5 to 10 THOUSAND quizzes and tests. In a career, that amounts to maybe 250-500 THOUSAND quizzes and tests—that you painstakingly design, prepare, and correct. You collect the data gathered from those tests and analyze it, deciding what you need to re-teach, and to whom, and in what manner. And then there are the writing assignments—the paragraphs, the compositions, the journals, the lab reports, the essays, the book reports, the research papers. You know that teaching is a seven-day a week job because you spend so many hours on Saturday and Sunday reading and commenting on hundreds and hundreds and hundreds of papers. “Why does Gatsby confide in Nick?” — “Explain how an airplane flies” — “What can you do to help our environment?” — “Consider the legislative, executive and judicial branches of government in explaining the balance of powers” — “What character changes most in this book, and explain how he or she changes” — “Solve this algebra problem and explain each step as you do it” — “Explain impressionism and Monet’s style” — “What is meant by good sportsmanship?” —“What is a Shakespearean Hero?” — “How is haiku formed?” — “What does Robert Frost mean in the last line of the poem?” — “How can you make good choices?” I have noticed that often the majority of your February or April vacation (sometimes both) is taken up with correction and grading of these kinds of papers. And then there are the seemingly never-ending progress reports and report cards—totaling and averaging hundreds (perhaps thousands) of grades, and writing or typing comments on report cards. How many late nights and occasional all-nighters you have had to endure in order to meet progress report or report card deadlines! I know about the moments of self-doubt too—times when you wonder if you are really making a difference, times when you wonder if you can possibly correct one more spelling quiz, times when a student moves out of the district AGAIN—just as you were beginning to finally get through to her. There are the times you wonder if anyone notices how hard you are working, how much you care, how creative your lessons are, or how many extra things you are doing for kids. I am well aware of all those extra things you do as, well—the poetry club, math club, drama club, computer club, chorus, student council that you advise. You organize geography bees or spelling bees or math competitions. You coach students after school to prepare them for the MCAS testing. I have been there too as you coached football or wrestling or softball or cheerleading or basketball. Many of you reach into the community or beyond to bring science or art or music programs to our schools for enrichment. And those field trips to Davis Farm, the Red Apple Farm, the Science Museum, Theater at the Mount, the Museum of Fine Arts . . . I realize how hard it is to organize those trips for your classroom or for the entire school—and yet you do it—voluntarily—every year! I have stood in awe as I saw you organize and conduct and chaperone a school trip to Nature’s Classroom or Canada or Washington, D.C. The fundraising activities, the meetings with administration, parents, and kids—unbelievable—but you did it all! And how about all those school activities that you helped out with? Those field days, school dances, talent shows, author teas, game nights, toy bingo events, school plays, lip-sync competitions, spirit days? And then there are those programs for peer mediation, training active bystanders, and organizing friendship groups. But even with all the extra activities, you save your most incredible effort for the classroom: the classroom, where you try your very hardest every single day to reach every single student. You prepare lesson plans using backward design. You consistently use state frameworks and address learning standards. You remind yourself of what Rick Lavoie said—that “Fair does not mean treating every child the same; that fair means giving each and every child what he or she really needs to be successful.” So you teach not just to the middle of the class, but to every child. You sometimes group students by interest or ability or randomly. You set up learning stations. You constantly monitor how students are doing—if they are understanding. You ask questions and try to make sure that you are asking students to use their higher order thinking skills. You use the District Curriculum Accommodation Plan (DCAP) and knowledge gleaned through scores of workshops to address differences in learning styles and abilities. You are familiar with and constantly review IEP’s and 504 plans and DCAP’s to ensure that you are meeting the many and varied needs of all students. You develop ISSP (Individual student success plans), as well, whenever needed. You put into practice differentiated instruction and gear your efforts to address multiple intelligences of students. You administer DIBELS and Fountas and Pinnell tests, MCAS tests or PARCC tests and use the results of testing to plan and modify your instruction. You request Child Study Team meetings when children have special problems, and you use the recommendations from those meetings to modify and improve your instruction and create successful outcomes. You try your hardest to motivate your students to learn—you challenge them, you reward them. You send home positive notes in agendas or on special cards or stationery. You call home whenever you can to help parents to become partners in their child’s education. You discuss triumphs, and challenges, and problems—and you work cooperatively and helpfully and positively with parents. And more than anything, you let children see how much you care—because you DO care about each one of them—more than you can ever say. You show it by how hard you work, by the words you use with children and parents. You show it by the thoroughness and creativity of your plans. You show it by how well you teach—how much attention you pay to each child and to the goal of having each child really master the material. You show it by all the extra things you do, the special things– the smiles, the warmth, dedication and commitment. And I am there, with you, as well, when you receive those very personal special rewards at the end of the year—children who leave your class with strengthened skills in reading, math, science, social studies, art, music, phys. ed. and more—as well as higher levels of confidence. You have taught them to carefully consider their options before making choices. You have taught them to put themselves into the shoes of another before making judgments. You have taught them to treat others the way they would hope to be treated. You have taught them to care about others—their neighbors, their classmates, their peer in other states or countries. And so, my fellow teachers–those who served long before, and those who serve still–I want to tell you all on this day and on every day–that you will always have my profound gratitude, my unending thanks for all of your extremely hard work, your caring, your dedication, and your commitment to your students and to your position. Yours is the job from which all others flow–the job from which dreams– and careers– and lives are made. As Astronaut Christa Mcauliffe observed, you do indeed “touch the future”—and we are all the better for your tremendous efforts in doing so.